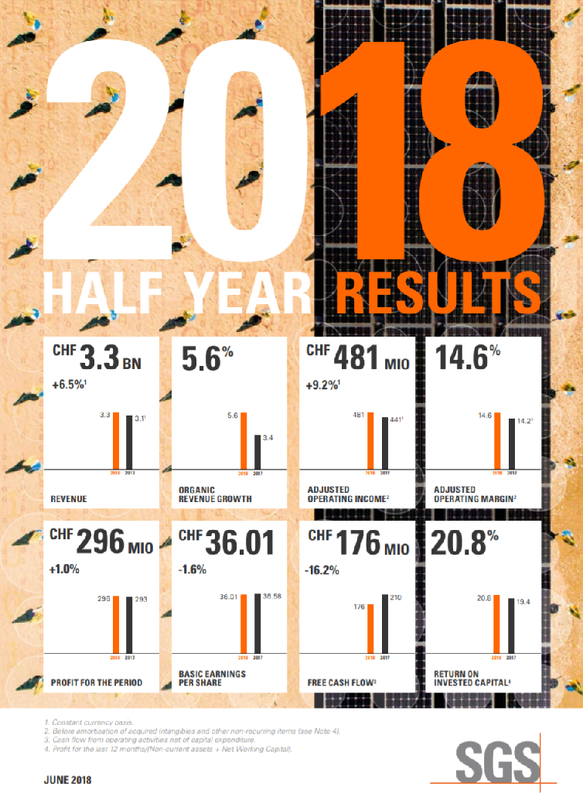 IIOC member SGS has posted its results for the first half of 2018. At constant currency rates, revenue grew by 6.5% to 3.3bn CHF. Of this growth, 5.6% was organic. Within this, Certification and Business Enhancement delivered 7.4% growth, of which 6.2% was organic growth. It is noted that this growth was, ‘mostly driven by Management System Certification having a particularly good semester’.